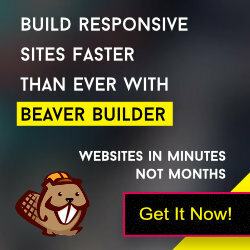 GBeaver theme has inbuilt off canvas menu widget using which you can easily add off canvas menu panel on your site. Here we describe you to add the widgets below the off canvas menu. Open the functions.php file and add the following snippets at end of the file. Login to dashboard and navigate to Appearance -> Widgets page. Drag & drop the “Off Canvas Menu” widget at Header Right widget area. You can place it at any other widget areas.